This important collection of essays by a leading theorist attempts to re-locate the relationship between the traditional concerns of legal theory and the sociology of law by establishing a consistent approach to the analysis of law in contemporary Western societies. This new book is based upon previously published essays which have been extensively revised and updated, and includes new introductory and concluding chapters. 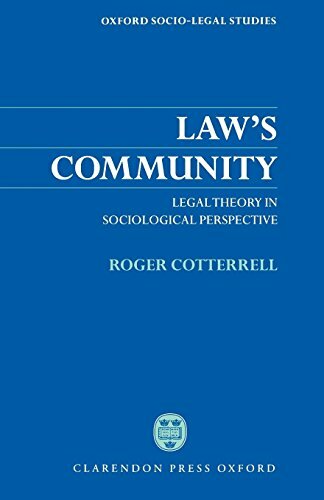 It offers an important contribution to the study of law and social theory. If you have any questions about this product by Clarendon Press, contact us by completing and submitting the form below. If you are looking for a specif part number, please include it with your message.